We are now listed on the Minecraft forum server list. Please vote for us! After a few days of the server being offline for maintenance, I am pleased to announce that we are back online and ready for more adventure. As always, if you would like to join us, please get in touch via the usual methods. Hussworld looking for new players! Hussworld is a whitelisted Minecraft server for adults and mature players only. We are always looking for new members so please get in contact if you would like to join. We now have a Youtube channel! There are a few short videos online, but we are looking for more experienced video makers to collaborate with. If you think you’re up for the challenge, please get in contact! I have written a short post on the Minecraft forum giving instructions and download links for the Husscraft mod pack, which you need to play on the server. If you would like to join us, please get in contact on the forum or on Twitter. The new and improved spawn area. I’ve decided to rebuild the spawn area to give new players a better chance of surviving the first night. Please get in contact if you would like to join us! I have decided to start a blog to document the progress of the Hussworld Server. 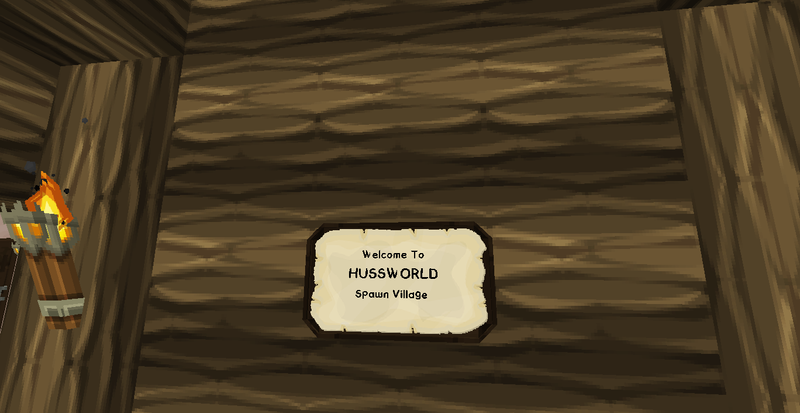 Hussworld is a private Minecraft server, focused on building a small community, playing modded survival. The modpack we use is a custom one which I have put together myself, I will post a full mod list with download links at a later date. At the moment, the server is only open to members, but we have decided to open the whitelist to new members in the hope of building a bigger community.